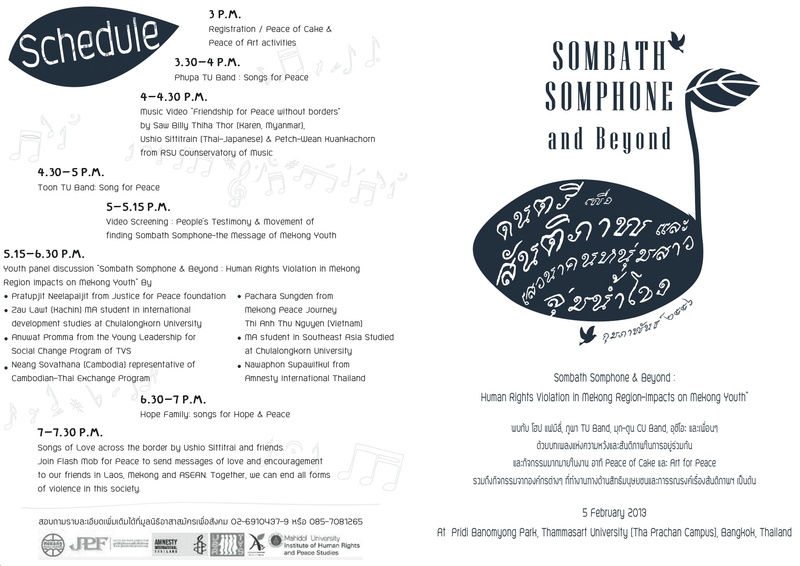 Some 50 members of the Thai and Mekong Youth network gathered outside the Laos Embassy in Bangkok yesterday demanding the return of missing social activist Sombath Somphone. The protest was held to seek an explanation from Vientiane authorities about his disappearance three months ago. A CCTV video clip in the Laos capital showed the Magasaysay award winner being stopped by police at an outpost before being ushered by a group of unknown men to an unknown destination on December 15. So far, the only response from the Laos government has been a statement from the Foreign Ministry saying he might have been abducted due to a personal or business conflict. 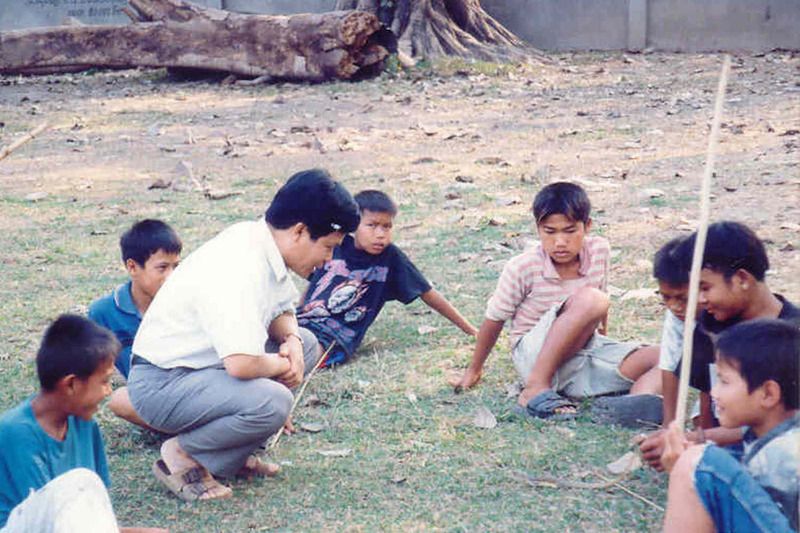 Sombath dedicated most of his life to community development in Laos and to help the poor. The network submitted an open letter to the embassy asking the Laos government to have relevant authorities undertake a prompt, transparent and thorough probe into Sombath’s disappearance in accordance with their obligations under the international human-rights law. They also demanded that Laos fully disclose all progress of the investigation to Sombath’s family and others with a legitimate interest, as well as ensure that all measures are being employed to locate, rescue and return him safely to his family as soon as possible. 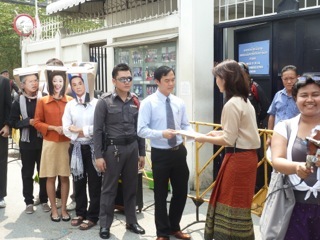 The group also staged a short skit at the protest site yesterday to criticise Laos for its cool response to the incident. 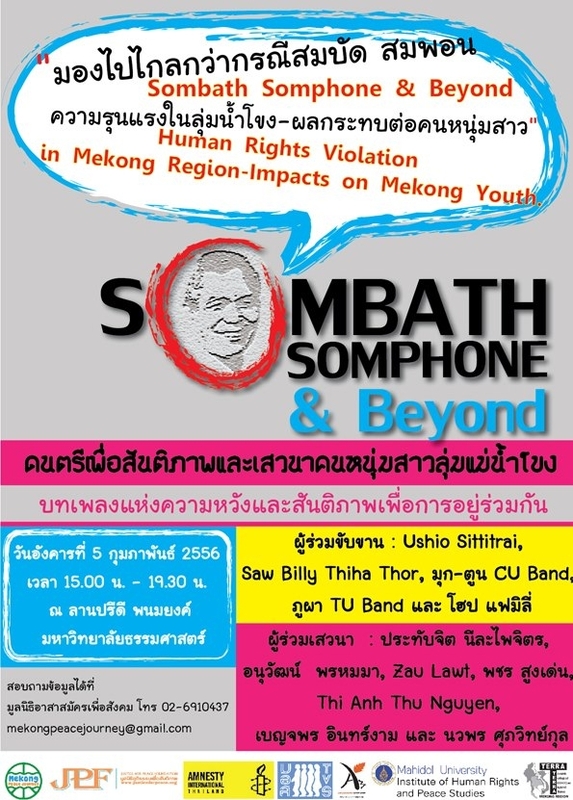 Meanwhile, Bounthone Chanthalavong-Wiese, president of the Alliance for Demo-cracy in Laos, yesterday issued a statement supporting the youth. 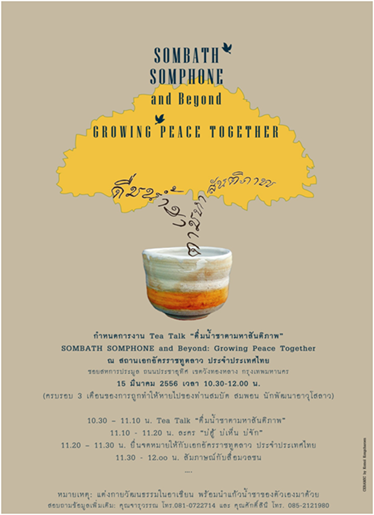 The letter submitted by the Mekong Youth is available in English and Thai.